In the commercial world, clear communication is vital, and so is the gathering of correct information from clients, suppliers, and work colleagues. Working together as a cohesive team with clear allocation of team roles is also a key to success. Cluedunnit have worked with numerous corporate clients over the years in such markets as banking & finance, accountancy, insurance, and legal advice. 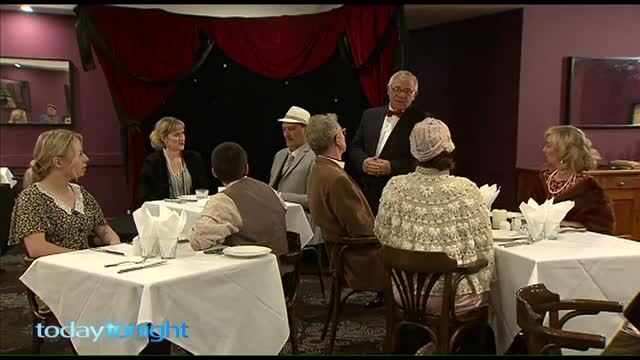 We have adapted our popular ‘Dinner Theatre’ Murder Mystery productions to reinforce classroom teachings on such subjects as ‘Open Questioning techniques’, Fact Finding, Time management and Team Roles. During our 2-hour murder mystery performance the various teams will be given small pieces of information or clues. The rest of the information needed to solve the crime and discover the murderer MUST be obtained by using ‘Open Questions’. The delegates must also time manage the proceedings to reach the desired result in the given time allocated. We can even gear things so that only certain team members can request information at a given time…thus a need to allocate team roles and be adaptable very quickly. "We thought that they made the occasion unforgettable. Have to give Gavin and Robbie credit for also giving us plenty of time to chat over dinner, they kept the action and fun going without monopolising things; we felt they judged the whole thing beautifully. We were able to give our continental European colleagues the full English experience - - who could ask for anything more! " Our professional actors and presenters have years of experience in Role Play and improvised performances. We can use this experience to reinforce company messages and team building activities.